Peruvian fashion photographer Mario Testino’s work has been published in top fashion magazines like Vogue and Vanity Fair. His photo-shoot with Princess Diana for a Vanity Fair edition in 1997 is widely regarded as the highlight of his career. 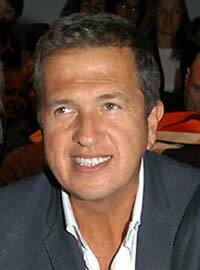 Mario Testino was born on October 30, 1954, in a well-to-do family in Lima, Peru. His father, a businessman, was the son of Italian immigrants. His mother was of Spanish and Irish decent. He was one of six children born to the couple. Mario went to a Catholic school, Santa Maria Marianistas, when he was young. Even in his school days, he had an affinity to fashion. He had his school uniform altered by his family tailor because he wanted to look different. His looks were not always accepted by his classmates and often he had to take a taxi ride to avoid being shouted at for his attire. Testino went to several universities after graduating high school. He was a student at the Pontificia Universidad Catolica del Peru, the Universidad del Pacifico, and the University of San Diego. Later he moved to London to study photography. In London, Testino initially stayed in a friend’s apartment, but later on moved to an abandoned wing of a hospital. This was his home for the next seven years. He worked as a waiter to meet his expenses. During those days he had his hair dyed pink which may have helped him get noticed as a photographer. Testino got his first break when he was asked to do the cover and fashion spread for Over 21. In 1986, he moved to New York and made a shift from fashion photography, but returned to it in 1995 when he worked for a Gucci campaign. The Gucci campaign with Carine Roitfeld was Testino’s first big success in fashion. He and Roitfeld are often credited with bringing significant attention to Gucci as a big name in fashion. Testino met with further success as pop star Madonna requested him to work on her Versace ads. The photos were featured on the cover of the album Something to Remember and also in high profile fashion magazines. He worked with Madonna again in 1996 when she appeared as Eva Peron (first lady of Argentina) on the cover of Vanity Fair in November that year. The next year brought his career to a peak when he photographed Princess Diana for a charity auction. This was just five months before her death. After the photo shoot of Princess Diana, he became a favorite photographer for the Royal Family. He did the official photographs for Prince Harry’s 18th birthday. He also took the official photograph of Prince Charles and his wife Camilla on their first wedding anniversary. Mario has published 11 books, the first two of which – Any Objections and Front Row Back Stage – were released in 1998 and 1999 respectively. Testino’s books Alive and Portraits hit the book stores in 2001 and 2002 respectively. In 2003, his book Kids was published. The next important milestones in his career came in 2007 and 2009 when his books Let Me In! and Mario De Janeiro were published. The latter, which has many photographs of the Brazilian model Gisele Bündchen, was his tribute to the Brazilian city and its way of life, which he appreciated. In 2010, his book Kate Moss was published and in 2011, he photographed the supermodel for the September issue of Vogue. Apart from his pictures and books, Mario Testino also held many successful exhibitions in museums and galleries in many different countries. The National Portrait Gallery in London owes one of its most successful exhibitions to Testino. Its record for the highest number of visitors was held for ten years by his exhibition Portraits in 2002. It was also displayed in many other countries as well.